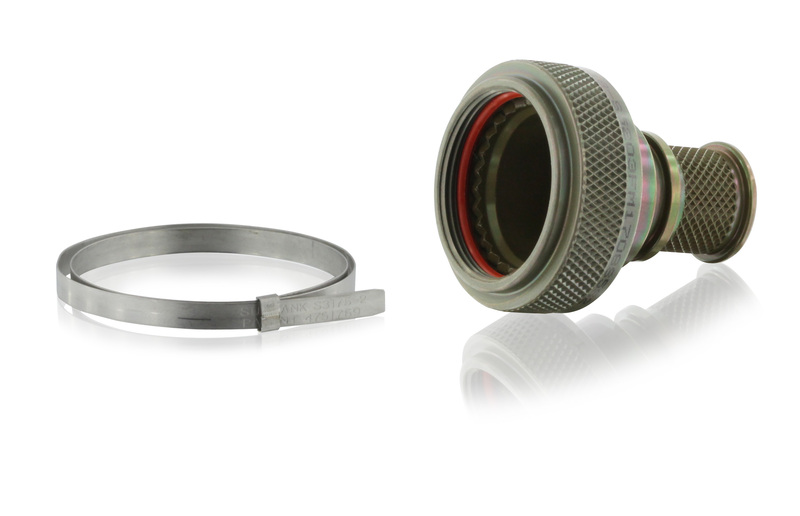 The 03 series includes all the banding backshell solutions for circular connectors and provides 360° EMI shielding of the wire bundle. The self-locking mechanism offers a robust and simple coupling solution. The 03 series backshells exceed the performance requirements and provides superior mating compared to the conventional self-locking products. Easy-to-install, no specific tools or training are required to assemble your interconnect solution. With a 360° termination, the banding platform is the perfect interface to simply terminate a shielded assembly. It completely protects the wire system from external perturbations. 03 backshells are an ideal solution in terms of reparability and maintenance time saving. The split shell configuration gives easy access to the wires without having to disconnect the entire system. Different shell entry sizes are available to customize the backshell to fit your wire assembly. Compatible with the main circular connector standards, backshells can be ordered with various connection interfaces. American and European standards are met, including MIL-DTL-38999, MIL-DTL-26482, EN2997, EN3645, AS50151, etc. Aerospace grade plating - including nickel, cadmium and zinc nickel - are available and qualified according to the applicable standards. 03 series backshells can be ordered on-demand with customer specific finish.